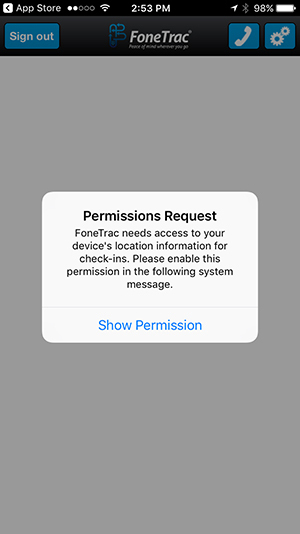 Read the instructions below to learn how to download and install FoneTrac on your iPhone or Android device. Or, click here to view our instructional video selection. 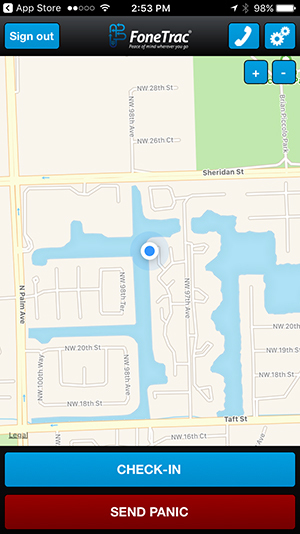 Go to the Apple App Store (iPhone) or Google Play Store (Android) and search for “Fonetrac.” Look for the app depicted in the picture and press the download button. Once FoneTrac is downloaded, press the OPEN button. 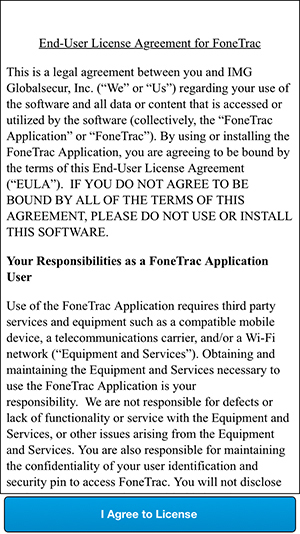 Read and Agree to the End User License Agreement. 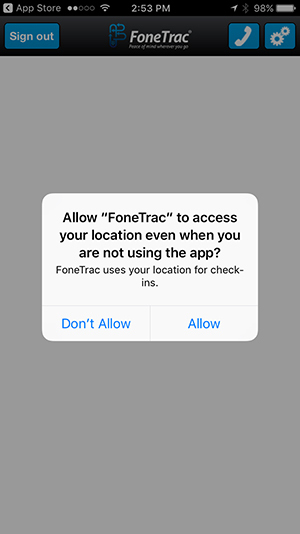 Click on Allow to enable FoneTrac. Check-In Procedure: Click on the blue Check-In bar. 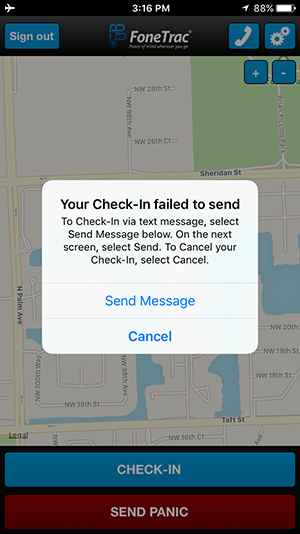 Once the Check-In is sent, press OK to clear the confirmation message. 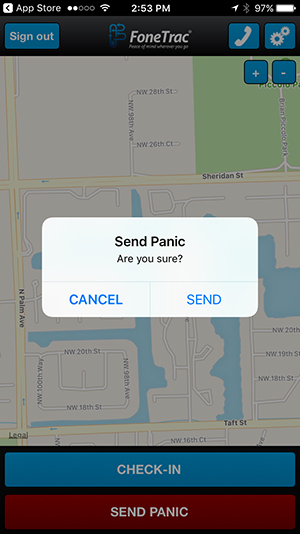 Panic Alert Procedure: Press the red Send Panic bar. 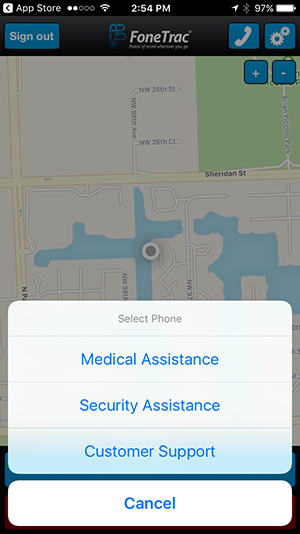 For Non-Emergency Assistance, press the telephone icon. A menu will appear at the bottom of the screen. 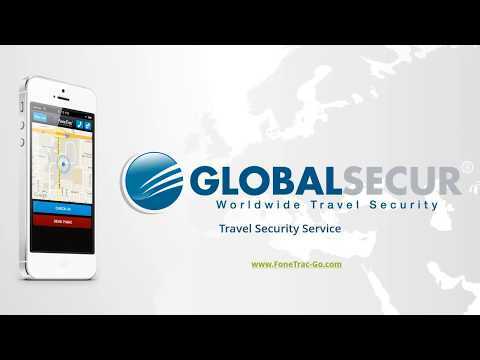 Press Medical Assistance or Security Assistance to dial pre-programmed assistance numbers. 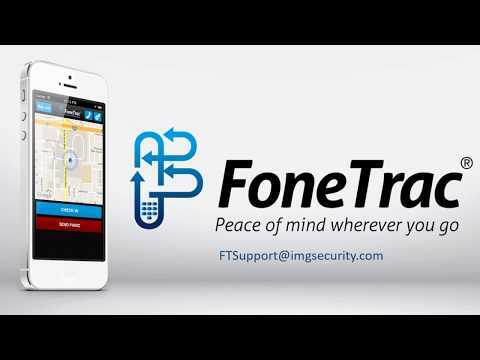 Press Customer Support to send an email to FoneTrac for technical support. In the event you are in a low coverage area, FoneTrac may drop down to SMS/text mode for Check-In/Panic Alert delivery. If the Alert message appears when sending a Check-In or Panic Alert, it is an indication you are in a low coverage area. 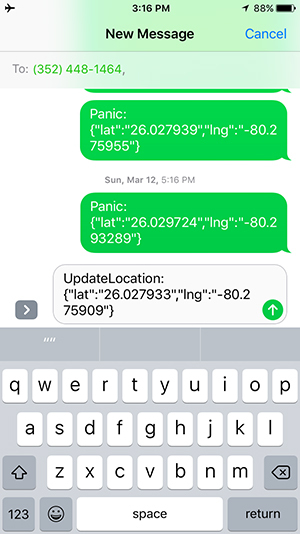 Press OK.
Press send to Check-In or send Panic Alerts via text message. 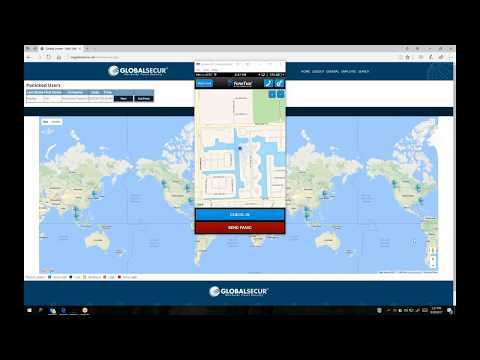 You will receive the same confirmation message as previously. Press OK to clear it. When not using FoneTrac, it’s best to shut down the app. It is not necessary to Sign Out. 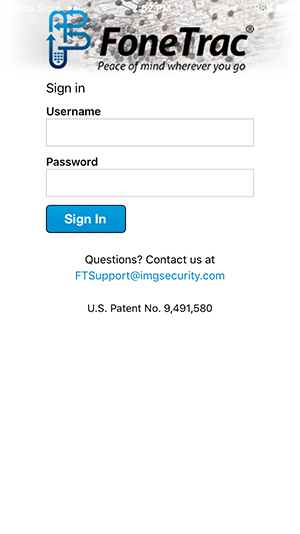 To shut down the app, press the round home key at the bottom of your phone twice quickly. 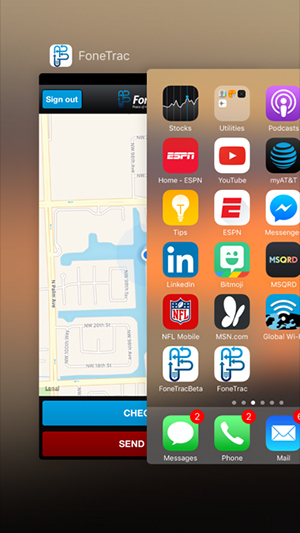 Your open apps will display. 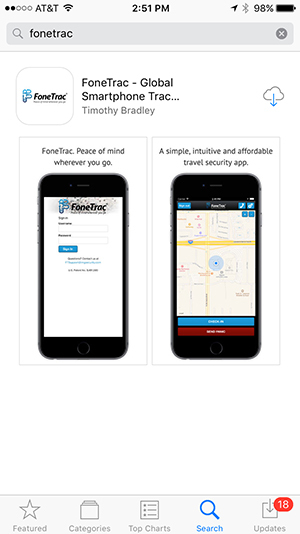 Select the FoneTrac app and place your finger on it and flip it to the top of the screen. 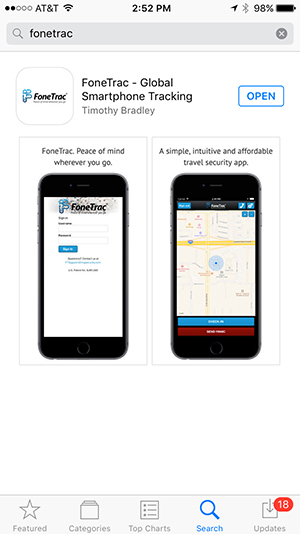 To open FoneTrac, simply find it on your home screen and press it.